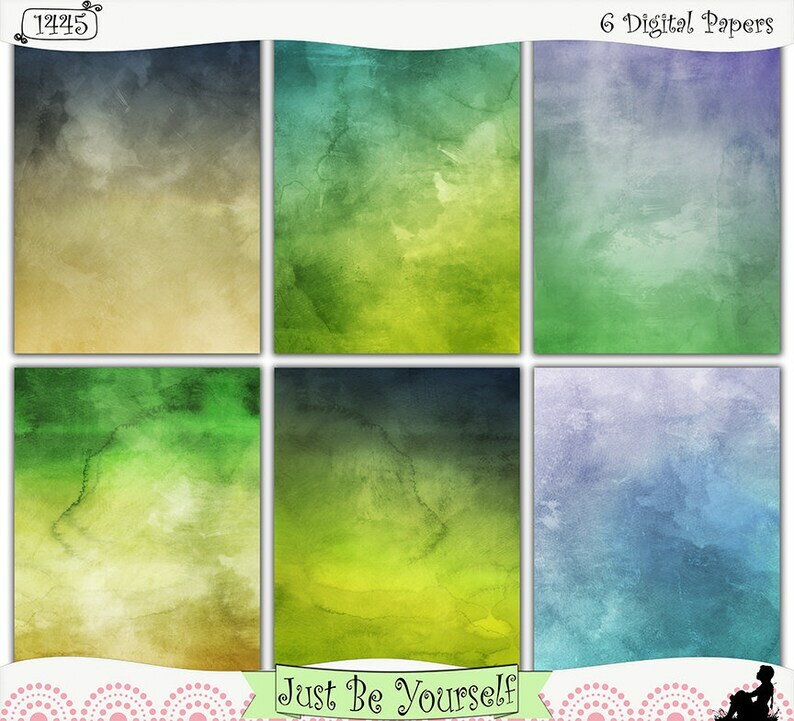 Distressed layers of six different hues of blue, yellow, green, and lilac are featured on these digitally painted printable art papers inspired by a sunrise at the beach. Instant download collection of 6 - 8.5" x 11" papers. *Perfect for scrapbooks, visual journals, art journals, mixed media and altered art, collage, printable cardstock, smash and stash books, banners, artist trading cards (ATC), pennants, stationery, and other paper crafting projects! *The images are in BOTH JPEG format and PDF format! *This is a digital product only; NO PHYSICAL PRODUCT IS SHIPPED! *This is an instant download. You should receive an email to your PayPal or Etsy email address from ETSY shortly after completing your purchase (usually within 5-10 minutes). Please check your spam folder if you do not see it. PLEASE NOTE: You will not receive your images by email, only the download link. You will need to know how to download files and extract files. * Please click on each image to get an accurate view of what you will receive. The preview panel has an image of each paper. All product is saved at high quality 300 dpi. The watermarks will not appear on your purchased images. * You will need to extract the file after you've downloaded it. If you have difficulty, I can give you a link to a folder where you can download each JPEG separately. Gorgeous one of a kind designs!